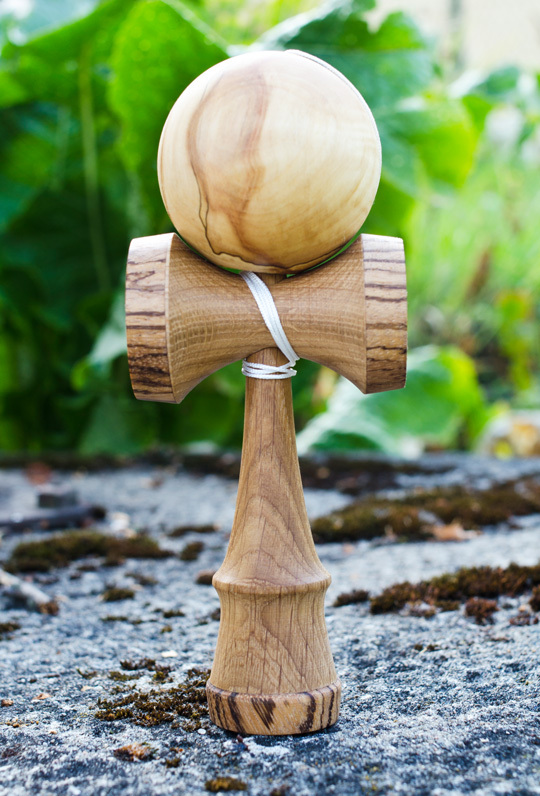 This kendama is masterpiece. Ken is made of oak with zebrano cups. Tama is made of old dried maple that makes nice structure. Stylish bag and 1,5 m string included.